If you follow this blog (or our social media postings), you may be a little confused, asking yourself, “Didn’t I already see this couple’s wedding photos posted by Jason & Melaina? Why am I seeing engagement portraits after?” So let me answer your questions! Yes, you did already see Steven & Erin’s gorgeous church wedding on our blog. And no, we aren’t intentional blogging our sessions out of order. See, every single one of our J&M Sweethearts receives a complimentary engagement session with their wedding photography package. We love gifting this to our couples, because 1) it gives them some gorgeous portraits to hang in their new home and 2) it gives them an opportunity to work with us and be in front of our cameras before their wedding day. It’s seriously a win-win! However, for Steven & Erin, who went from “Will you marry me?” to “I do” in 5 short weeks (WEEKS! 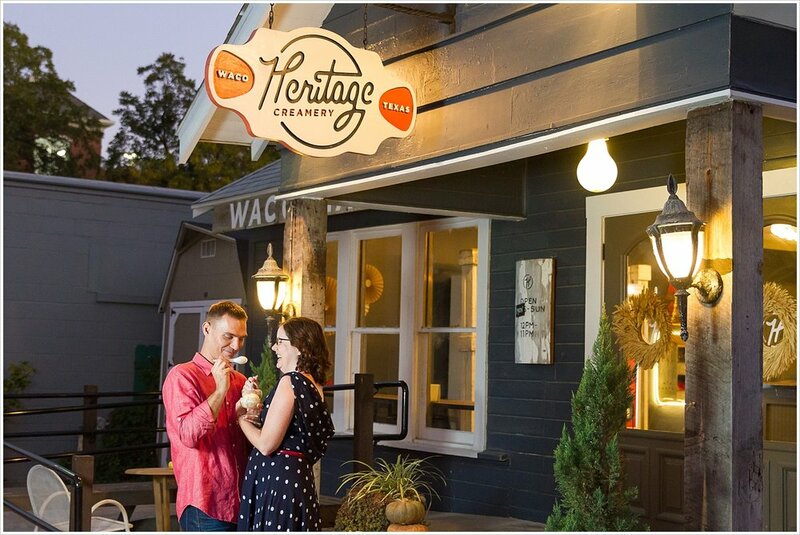 ), there was simply no time to schedule in an engagement session prior to their wedding day. 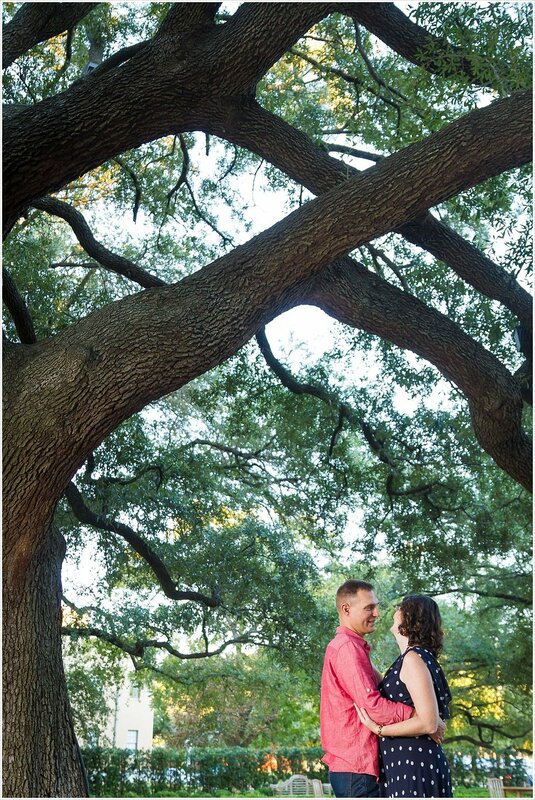 So here we are, 3 months post-wedding, joining this sweet couple for their engagement portraits on Baylor’s campus. 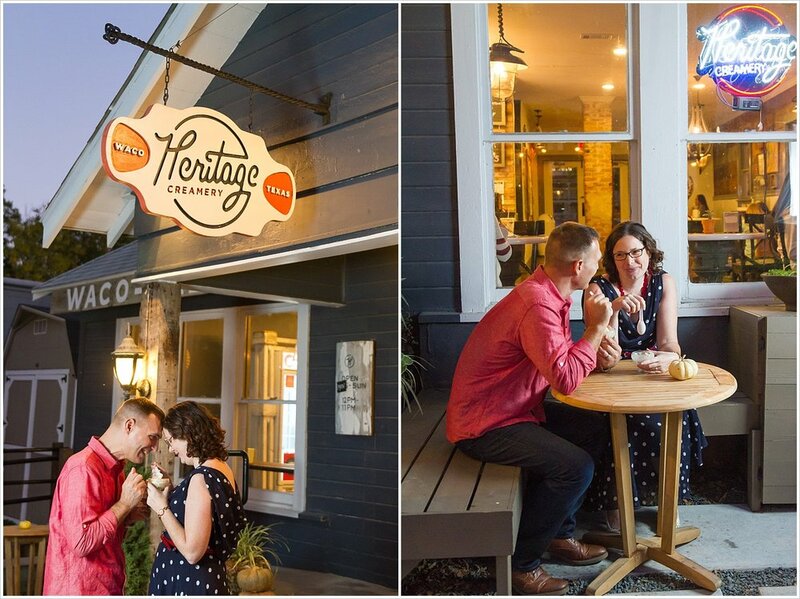 Erin works at Baylor and they’ve spent many date nights walking the campus and stopping off at Heritage Creamery for ice cream. So it was a natural (and beautiful!) 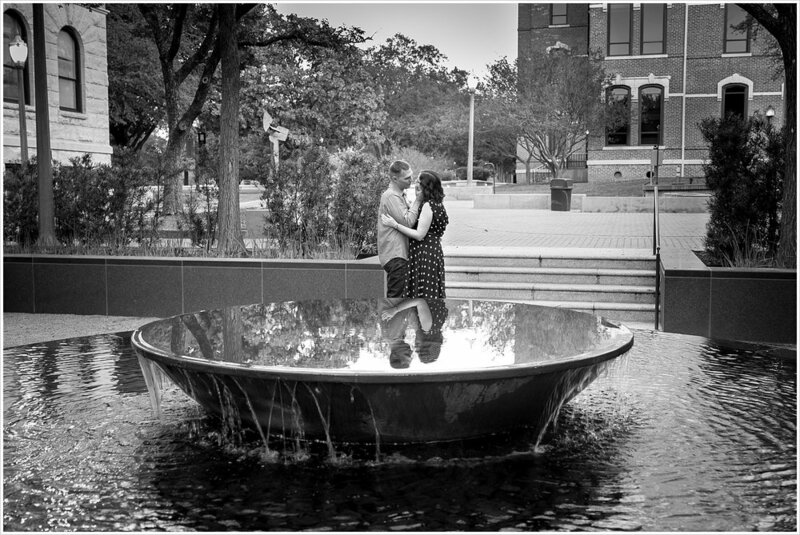 choice to photograph these newlyweds as if they were on one of their many Baylor date nights. And once again, just like on their wedding day, being with Steven & Erin is an opportunity to see a couple who truly loves one another in a deep and meaningful way. When they look into each other’s eyes, you get a sense that everything else fades away for them and they are able to only see one another. We’ve been able to get to know Steven & Erin even more than our other Sweethearts because they have joined our small group we lead through our church. And their love for one another and their desire to encourage one another to grow deep in their faith is something we’ve witnessed every time we see them. We're so glad you guys reached out to us about photographing your wedding this summer. 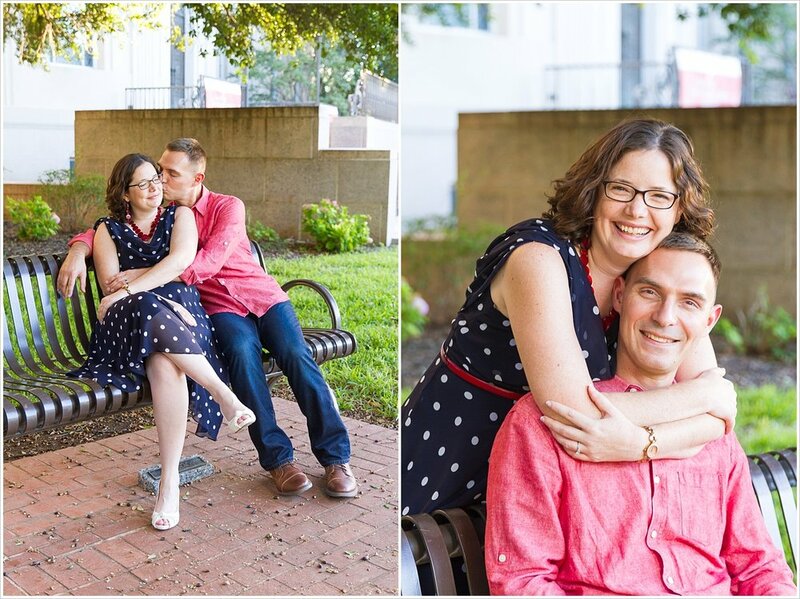 It's been a joy to photograph your love story, and get to know you as friends. We pray you continue to stare into one another's eyes and have many more Baylor date nights for years to come. Want to learn more about becoming a J&M Sweetheart?